Dozens of international human rights groups will gather in Tokyo on Wednesday to urge the North Korean regime to halt its inhumane activities and release a South Korean woman believed to be held captive at a prison camp, an activist group here said. The event was organized after a South Korean family’s devastating story was revealed to the media. O Gil-nam placed an advertisement asking United Nations Secretary General Ban Ki-moon to save his 69-year-old wife Shin Suk-ja upon the U.N. chief’s visit to the country last month. “Please save a daughter of Tongyeong,” the ad read, with a black-and-white photo of O’s wife and two daughters Hye-won and Gyu-won, referring to the small South Korean city which has been holding a campaign calling for the release of one of its residents. O’s family defected to North Korea from Germany in 1985 and O escaped from the country a year later, leaving behind his wife and daughters who are believed to be imprisoned in Yodok prison camp in South Hamgyong Province. “We were able to gather different organizations (in this event) via years of efforts made on North Korean human rights issues. We will also hold hearings in the U.S. and Europe,” he said. The convention, to be attended by at least 30 human rights groups from 15 countries, is being co-sponsored by four major international organizations including the Amnesty International, Human Rights Watch and the International Federation for Human Rights, according to Ha’s Open Radio for North Korea, which broadcasts daily to the North. Shortly after the convention in Tokyo’s Meiji University, an international consultative group “The Center for International Cooperation for North Korean Development” will begin its activities working on related issues including the return of Japanese abducted by the North. North Korean defectors who escaped prison camps and a U.S. soldier who returned to his country 40 years after defecting to the North in 1965 will share their heart-wrenching experiences in the communist state during the convention, organizers said. Former South Korean President Kim Young-sam will send a message via video while Japanese National Public Safety Commission chief Kansei Nakano, who is in charge of adduction issues, will make a key note speech, they said. The imprisoned wife Shin was working as a nurse in Germany where she met O and married in the 1970s. Convinced by North Korean agents in Germany who promised stable jobs for O and his wife, the family defected to the North in 1985. O, who described the decision as “a result of months-long brainwashing” by North Koreans, soon changed his mind and escaped to the South while he was on an overseas mission, having no better choice than to leave behind his wife and the girls. 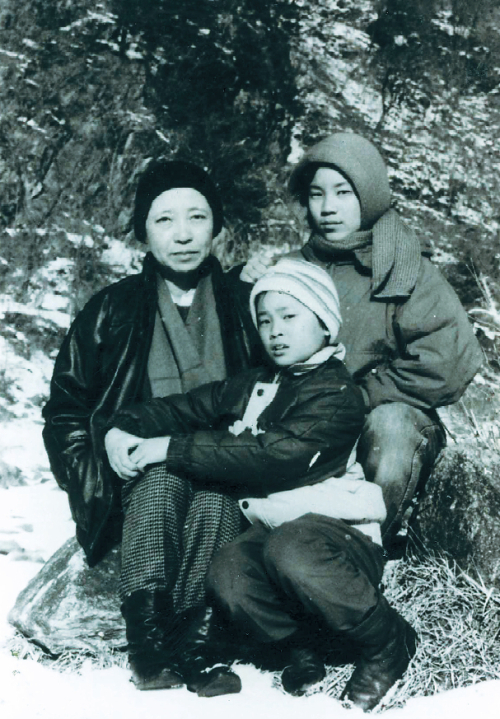 Shin and the girls are believed to have been sent to the Yodok camp, notorious for its harsh torture of political prisoners, a year after O’s escape. O received six photos of his family in 1992 and heard that his wife was still imprisoned at the camp in 1993 from fellow prisoners who managed to escape. Shin had attempted to kill herself several times, according to her tearful husband. With nearly 40,000 people having thus far signed the petition for the release of Shin and her daughters, the South Korean government has also been making backdoor efforts to draw international attention to the issue, officials said. Believing the issue is unlikely to be solved on the inter-Korean level, Seoul plans to raise the issue during the U.N. General Assembly this fall, they said, asking not to be named due to the sensitivity of the issue.